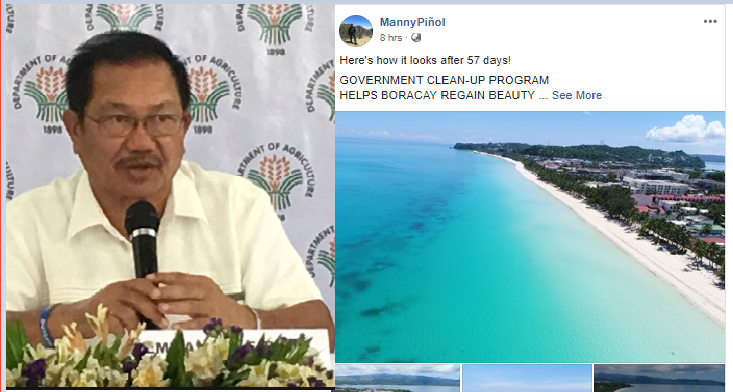 Department of Agriculture (DA) Secretary Manny Piñol shared in a Facebook post how Boracay Island now looks like after 57 days of cleaning. Boracay island was closed to tourist since April 26 of this year after President Rodrigo Duterte ordered its total clean up and rehabilitation for six (6) months. The government's Inter-Agency Task Force working under the clear directives of a strong-willed President, has achieved in just 57 days dramatic accomplishments in the clean-up of Boracay Island, one of the world's most popular tourist destinations. Boracay Island was closed to tourists on April 26, 2018 on oraders of President Rody Duterte who said that the popular vacation destination which draws tourists around the world because of its blue waters and white sand beach has degenerated into a cesspool because of neglect and extreme commercialism. Others said that the clean-up timetable of 6 months was unrealistic and that the government will never be able to rehabilitate Boracay Island. During the 26th Meeting of the Cabinet this month, Tourism Secretary Bernadette Romulo-Puyat asked whether the Oct. 26 scheduled opening of the island would push through. President Duterte referred her question to Environmental Secretary Roy Cimatu, head of the Inter-Agency Task Force on the Rehabilitation of Boracay Island, who assured the Cabinet that the island will reopen on Oct. 26 and tourists could start flying in Oct. 27. 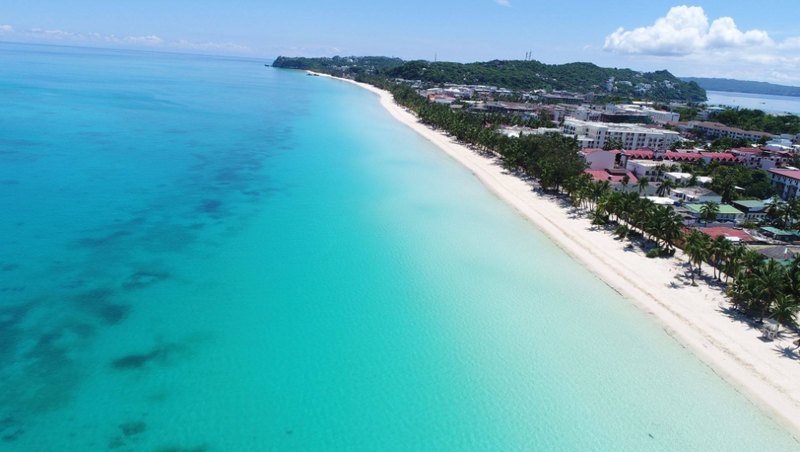 With four more months to go before the scheduled reopening, there is no doubt that Boracay Island will regain its old beauty, thanks to a President who exercised political will and faced all odds. Congratulations to all members of the Inter-Agency Task Force and most of all thank you to our iron-willed President Rody Duterte.